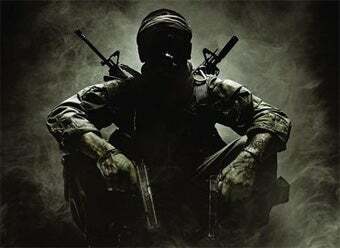 Will you be playing Call of Duty: Black Ops Monday night at midnight or Tuesday morning? Best Buy and GameStop detail plans for a massive number of midnight openings for Activision's latest and potentially greatest. the release of a new Call of Duty titles is more than enough reason for gamers to stay up late next Monday, and both Best Buy and GameStop corporate agree that a large group of their employees should as well. GameStop will have more than 4,400 stores opening at 9:30PM on Monday, celebrating all evening long with Call of Duty trivia contests and something called "going camo" face painting, which sounds like someone wanted to call it "going commando" but then realized what that meant. "The sheer number of stores we are opening attests to the fact that this is the game of 2010," said Bob McKenzie, senior vice president of merchandising for GameStop. "We anticipate Call of Duty: Black Ops will not only be the biggest video game event of the year, but the biggest launch in GameStop's history." GameStop customers can visit the store's Call of Duty midnight page for information on events near them. Best Buy counters with more than 700 midnight openings, where they'll have a selection of 3D home theater equipment for sale in case anyone has the money to afford the full 3D Call of Duty: Black Ops experience. Festivities kick off around 10PM and include waiting in line until 12:01AM. "This is the hottest release of the year and we're thrilled to be able to open more of our stores early to give customers the chance be among the first to own it – and in 3D," said Chris Homeister, senior vice president and general manager of the home entertainment group at Best Buy. "Best Buy is the ideal place for fans to pick up the game and get everything they need for the ultimate Call of Duty: Black Ops 3D experience." Best Buy also has a page set up where customers can find midnight openings in their location. And don't forget the thousands of Wal-Mart stores that will be open at midnight because they're always open anyway. So who's attending a midnight launch next week?